Jon has been working across Wales for the last 18 years; firstly as a commercial photographer, but in more recent times he has been able to cover the subjects and documentary projects that he is passionate about. He has been freelance since 2005, working with clients which include the BBC, Dwr Cymru, the Principality, National Theatre Wales and the Wales Millennium Centre. In addition to these commissions, he has self funded a number of projects since 2010. These have been an opportunity for him to explore his interest in social history and sense of place. The most successful of these projects was "Cardiff before Cardiff" which culminated in the largest exhibition of photography to take place in the Wales Millennium Centre in 2012. We asked Jon about his featured series for the blog. ‘Axilla’ is a project that arose from conversations about the nature of femininity and the decision to not shave body hair, particularly the armpit. The project isn’t an endpoint but more of a series of images to provoke dialogue and discussion around what can be seen as (surprisingly to me) a militant action. 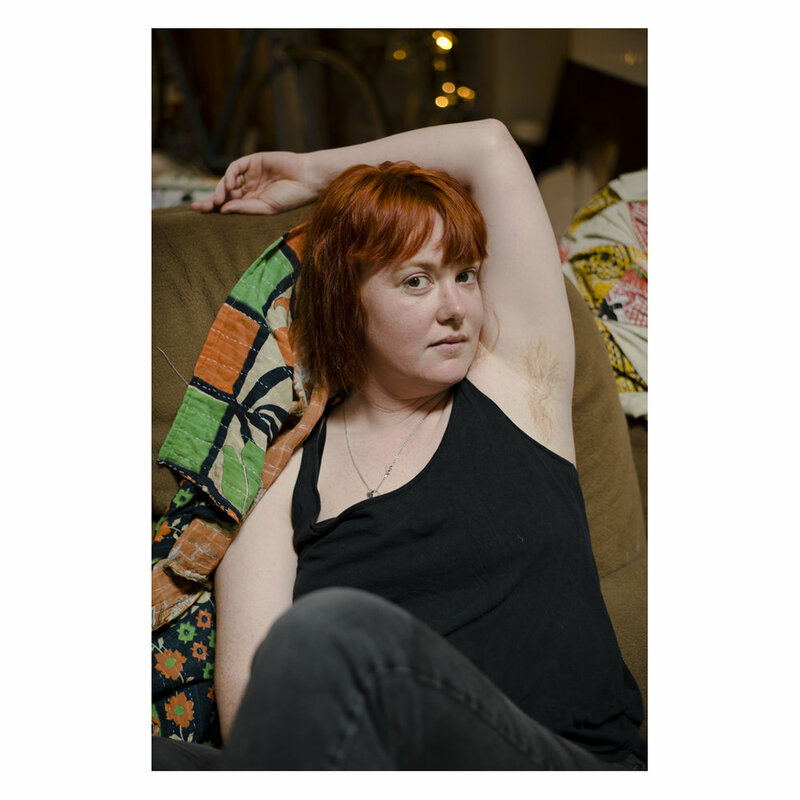 In a world full of confrontational and often horrific images, the sight of armpit hair on a woman is still seen by many as a uniquely upsetting and unsettling proposition. If we can’t even get past this point, what hope is there for bigger questions like equal pay?